Mizuho Yoshida & Kenpachiro Satsuma entertain the crowds at Monster Mania 30. For this episode, we wind the clock back to March when I attended the Monster Mania convention in New Jersey. 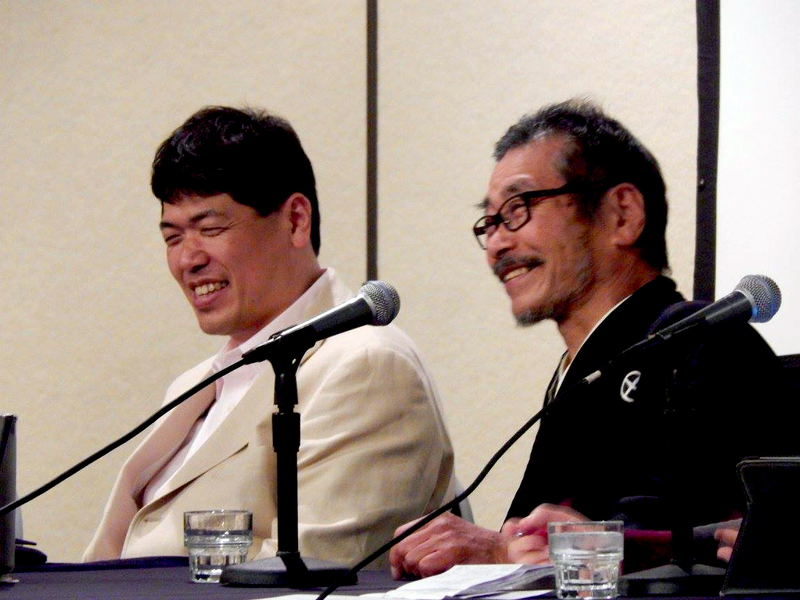 The Godzilla suit actors Kenpachiro Satsuma (1984 – 1995) and Mizuho Yoshida (2001) were guests and took part in a panel about their history in rubber suits. Hope you enjoy, folks! Kaijucast Redbubble Shop is now open! For our film this month, we are watching and discussing Ultraman Tiga & Ultraman Dyna: Warriors of the Star of Light from 1999. Make sure to have your homework turned in before June 25th to be included in the disucssion! And you can submit your homework via our contact form here.